We are a leading Manufacturer of single axle weighbridge, portable weigh pads and axle weighbridge from Ahmedabad, India. 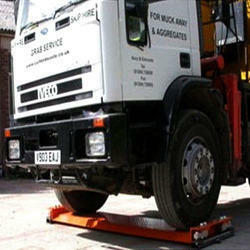 Being a quality-situated association, we are occupied with giving a wide show of Single Axle Weighbridge. Axle weighs bridges are exceptionally cost effective solutions, the client profits from the low equipment expense, the minimal effort of civil work & establishment and thus quick recovery on investment. A group of our capable experts with hard-earned experience fabricates the offered extent utilizing quality guaranteed crude material and the most recent engineering. Remembering, regularly developing prerequisites of our profitable customers, we are putting forth a selective range of Portable Weigh Pads. 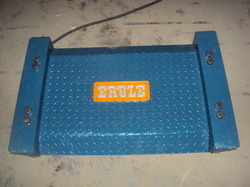 This weigh pads are made by using quality guaranteed crude material and propelled innovation by our able experts. To guarantee quality, these weigh pads are thoroughly tested on a few parameters. These weighing pads are utilized to weigh the precise measures of strong and fluid material, which is filled or released from modern container, silos, bunkers & tanks. We give the whole item in a few sizes and designs, according to the steadily advancing prerequisites of our customers. Typical to all the achievement that we have obtained in the business, remains our status as a noticeable manufacturer, trader, and supplier of an accuracy designed a range of Axle Weighbridge. Our equipped experts make this weighbridge by utilizing quality guaranteed crude material and advanced innovation in adherence to the set business standards. 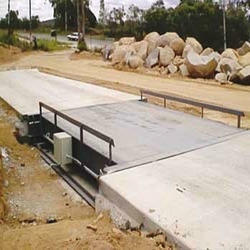 Additionally, our significant customers can get this weighbridge from us at business lending costs.